The land of "golden stone"
Lying north-west of Lyon, this region owes its name to limestone tinted with iron oxides which reflect the sun. The building material used for all village houses until the present day, it has conferred this unique golden hue upon these old homes which are now highly-prized. 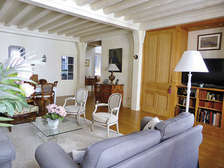 In Albigny-sur-Saône, this house of 300 m2 offers lots of character and charming appointments : wood panelling, parquet floors, concrete tiling... It also benefits from flat grounds of 1,600 m2. 740.000 €. 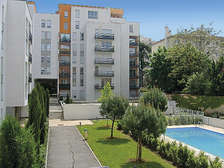 CD Immobilier (09 84 59 65 08). The region known as "Le Pays des Pierres Dorées" consists of about 40 communes all situated in proximity to the quarries of this famous stone which allowed for the development of local construction in the early 20th century. The quarries are now abandoned, except that of Theizé en Chassagne, where a master stone-cutter resumed the activ­ity in 2008. 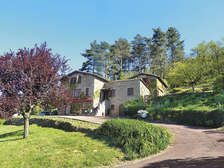 Here, close to Les Monts d'Or and Le Beaujolais, a few villages of character boasting a remarkable heritage in the midst of a luxuriant setting attract many Lyonnais keen on quality living conditions in a country setting, yet in immediate proximity to main roads taking them to their workplaces. 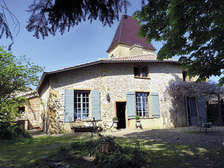 Bagnols, Le Bois d'Oingt, Frontenas, Legny and Couzon, for example, can offer many quality properties : typical village houses and pleasant villas. 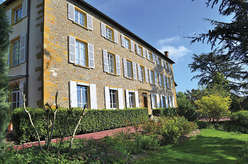 With her partner David Thommegay, Christelle Volcoff has just opened the CD Immobilier agency in Couzon, a charming village with 2,500 inhabitants. 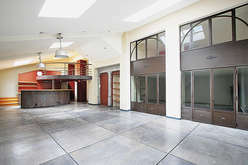 "We provide personalized follow-up and take the time required to accompany buyers in the quest for their dream homes. 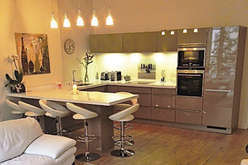 Our clients - mainly from local families - are looking for houses with three or four bedrooms, ideally without any renovation on the cards." 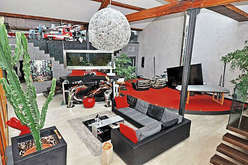 Prop­erties here are priced from 300,000 € for village houses to 750,000 € for high-end homes. 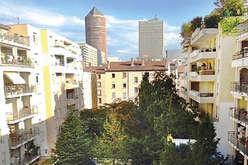 A market that draws a considerable number of people working in Lyon, as most of the communes are about 30 minutes from the city by car or public transport. Some are in search of a house with character and well-preserved old features : exposed stone walls and ceiling beams... Others are won over by modern villas with gardens in the surrounding areas, priced from 520,000 €. 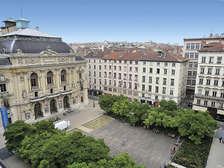 In Legny, Caroline Poncet is embarking upon the third year of activity of her agency, 109 Immobilier. 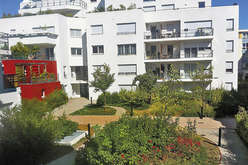 Specializing in Le Bois D'Oingt area, it proposes all kinds of houses. 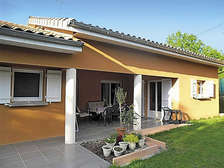 "First-time buyers look for village houses in need of total renov­ation, with budgets of around 200,000 €. These properties are rare. 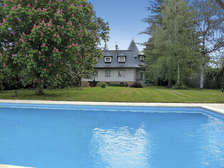 Most of the homes tend to be offered at about 300,000 €. Though some large properties which can't find takers due to their size are acquired by investors who split them up into lots. 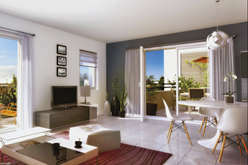 First-time buyers can then sometimes acquire a property to renovate from 100,000 € to 140,000 €." 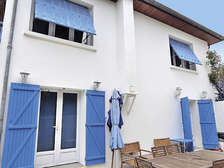 The most typical kind of property on the market here is, however, the "villa beaujolaise" built from the 1970's to 1990's, usually costing around 450,000 €. 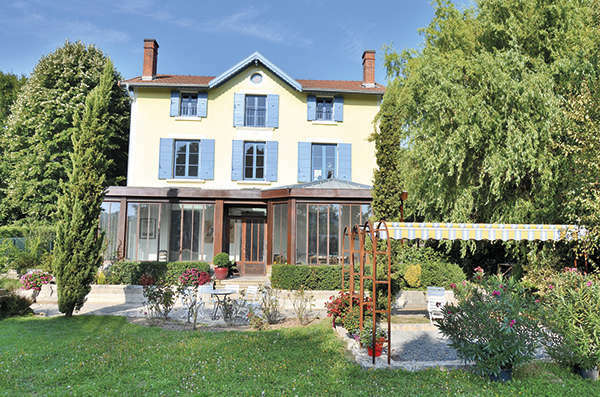 A region full of charm and character, the "Land of Golden Stone" is a stable market with many properties providing sound investments while guaranteeing a very pleasant life-style close to Lyon.